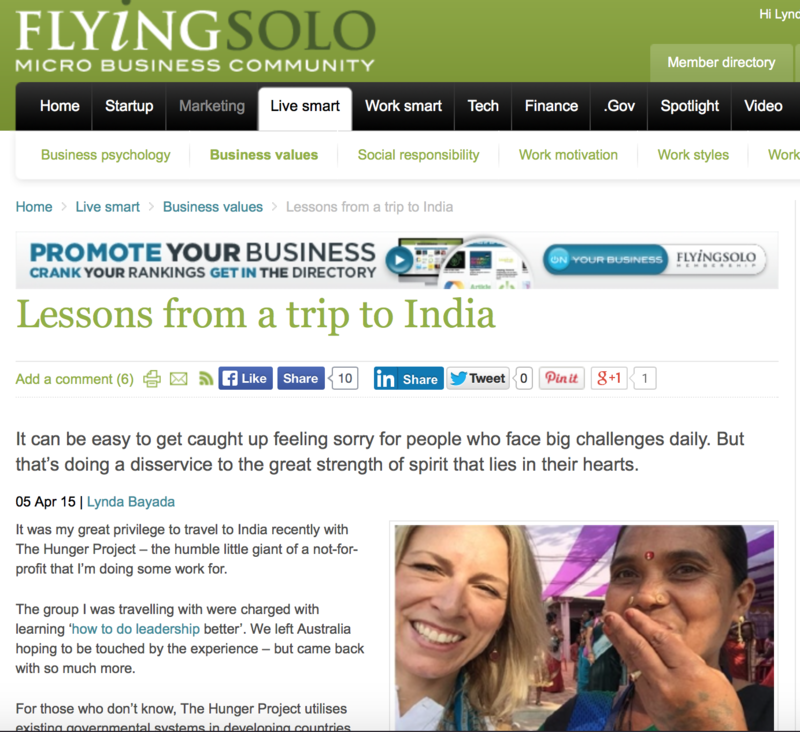 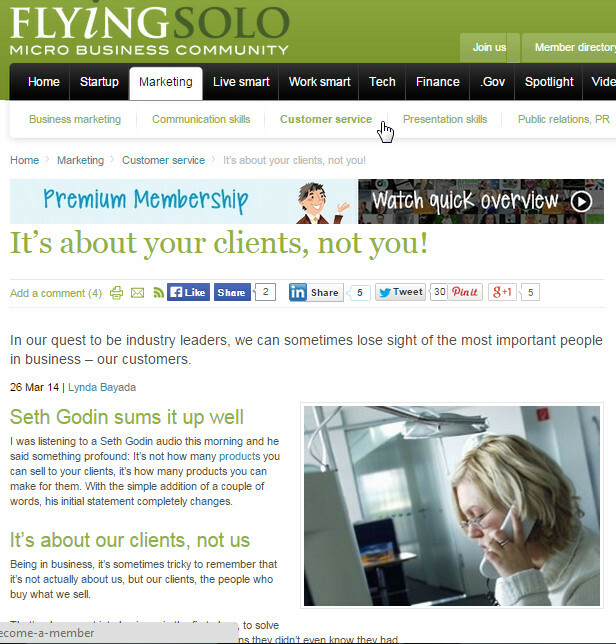 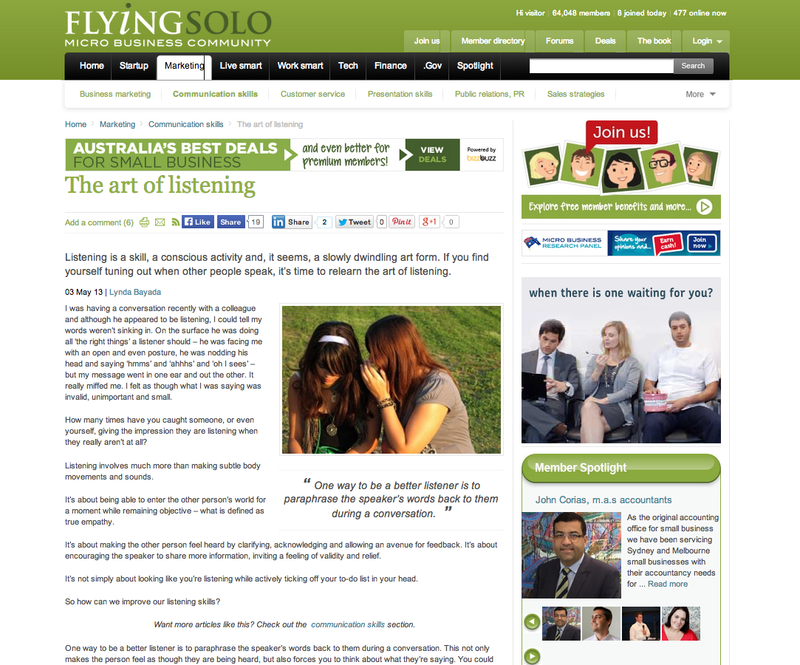 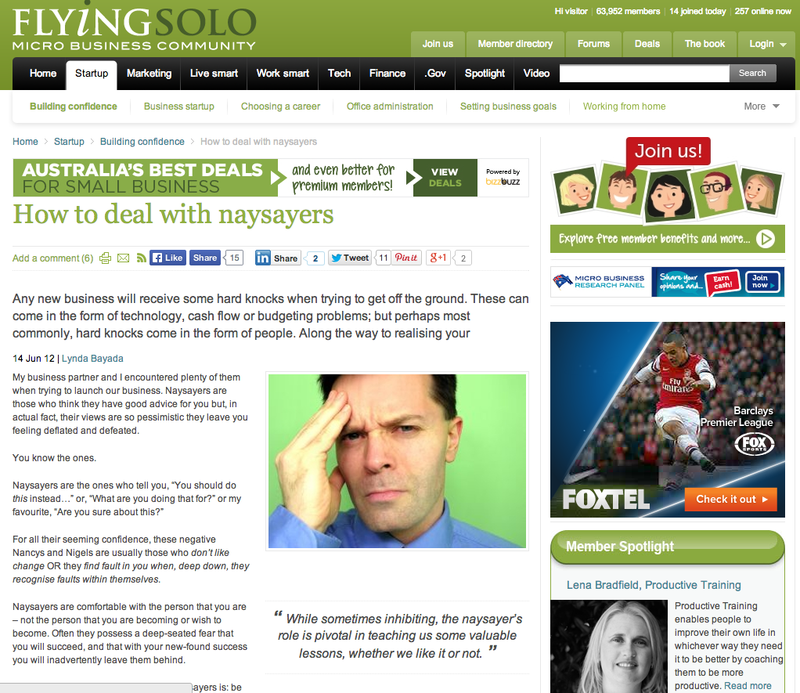 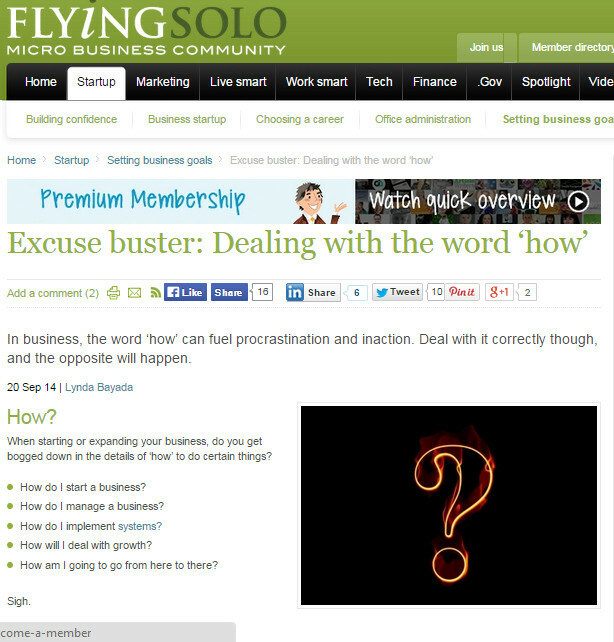 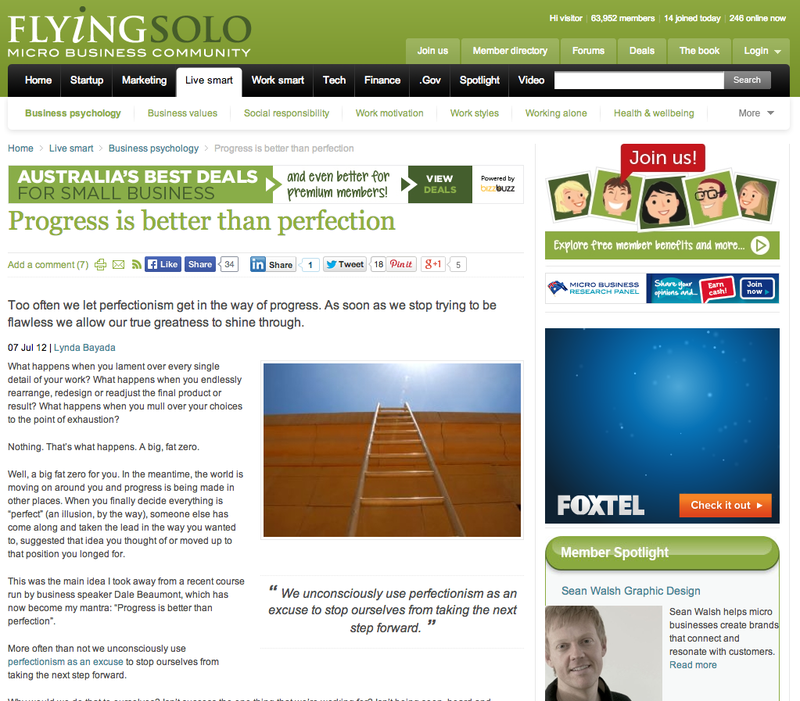 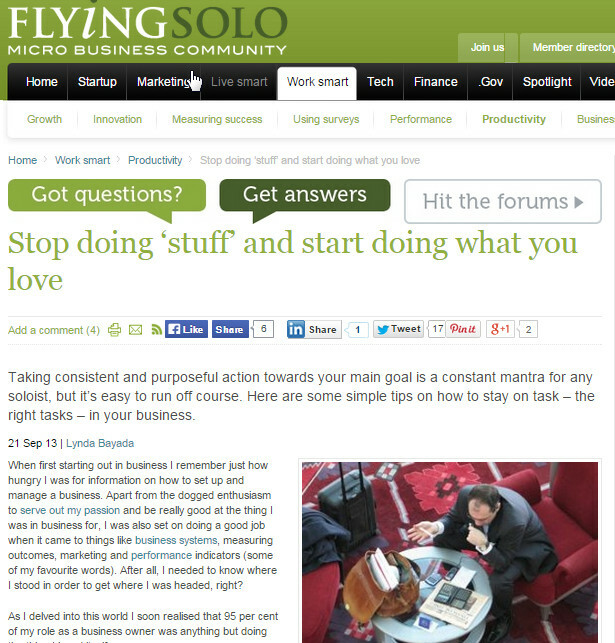 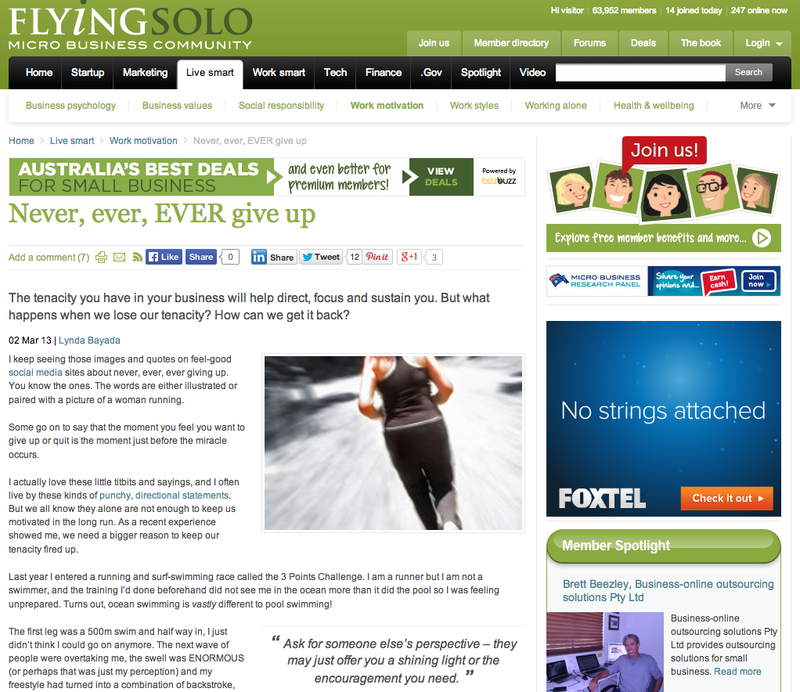 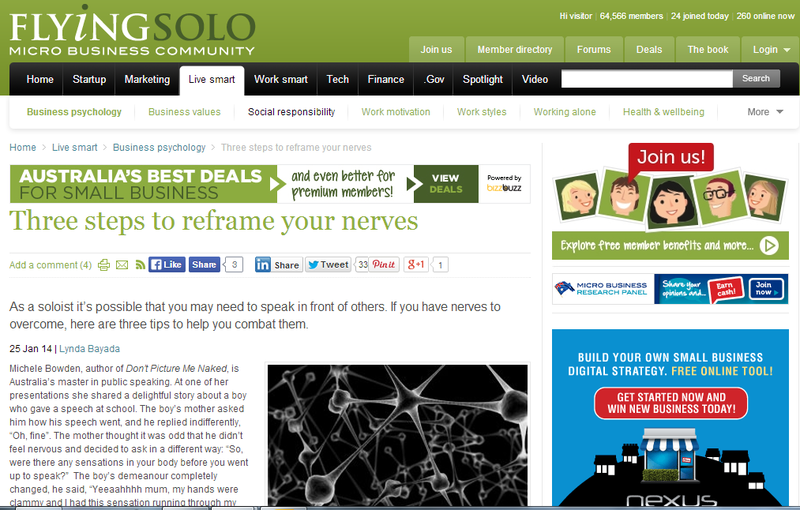 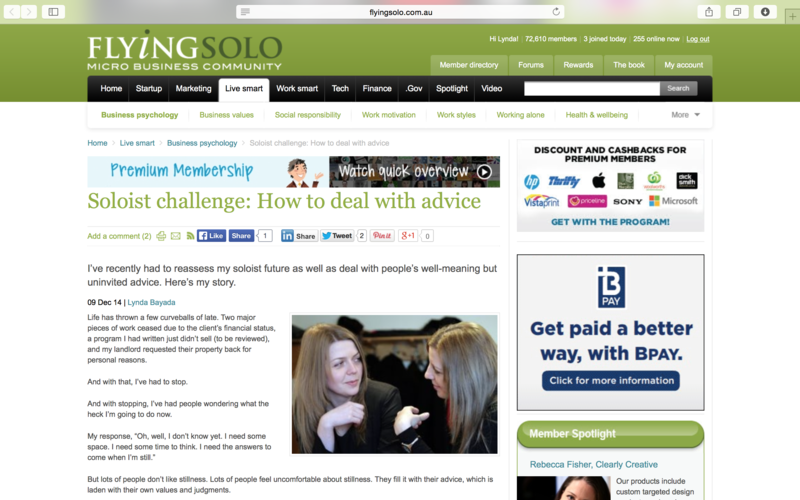 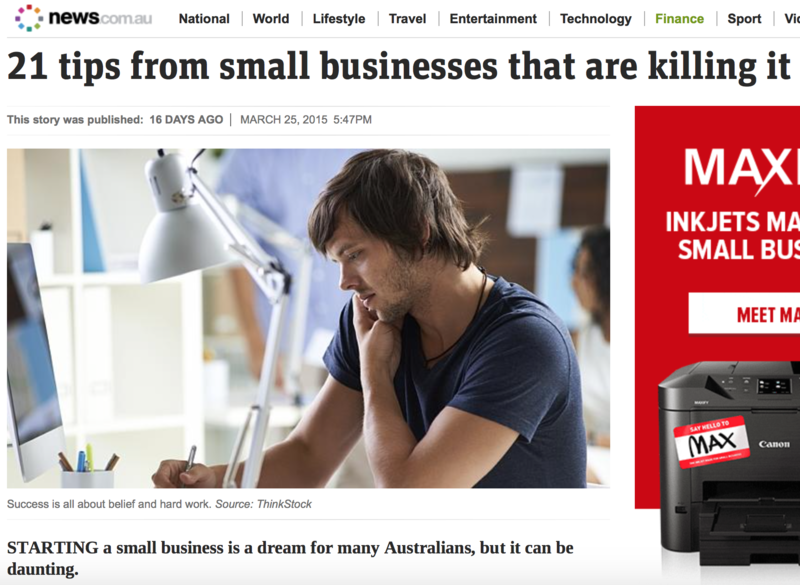 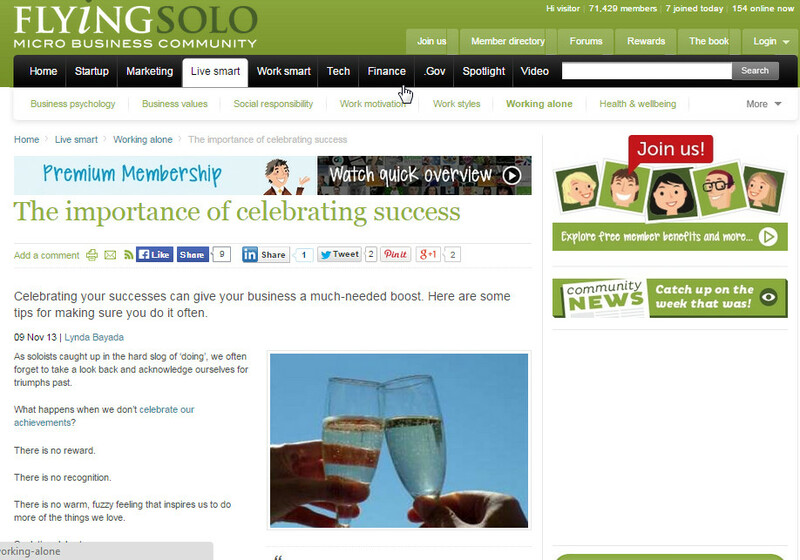 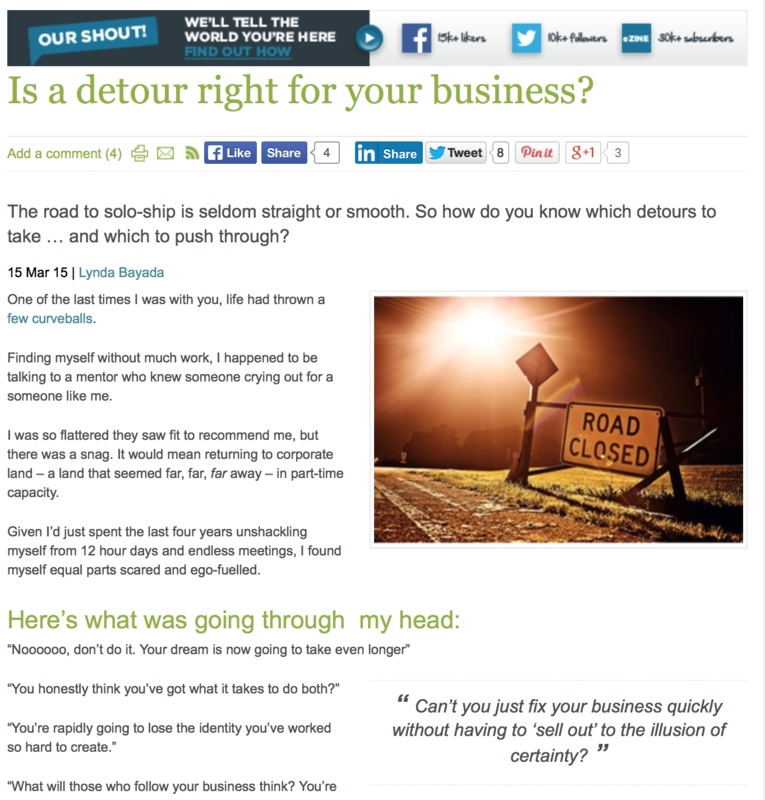 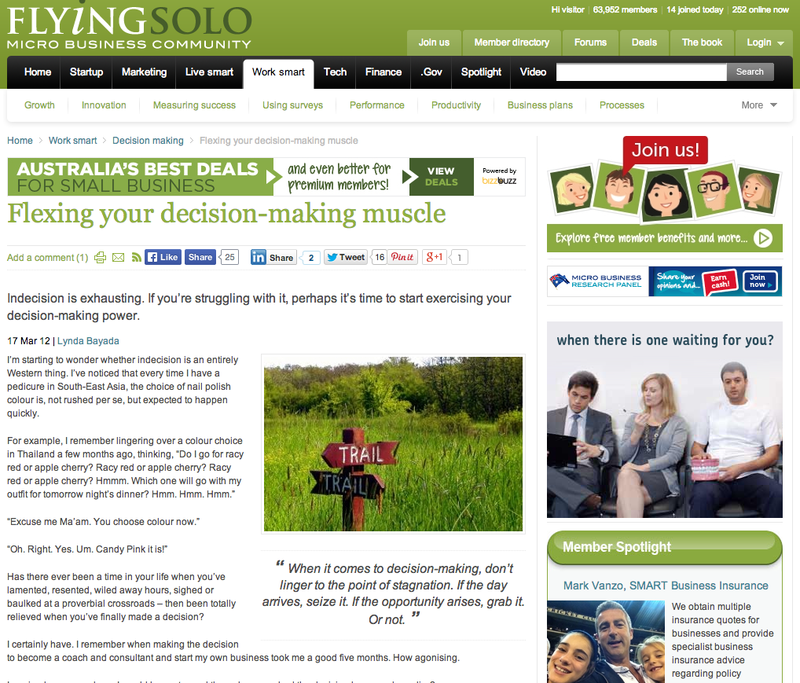 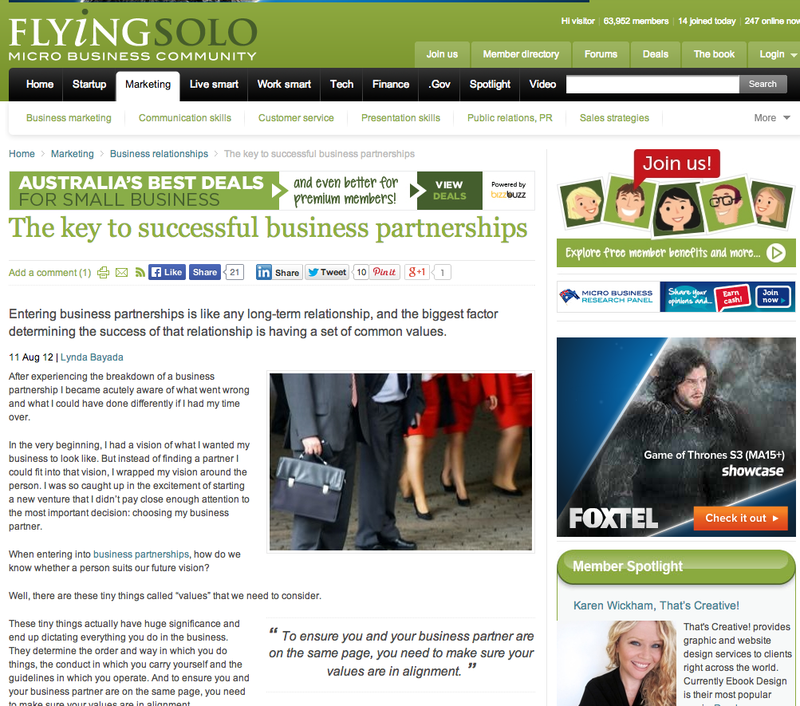 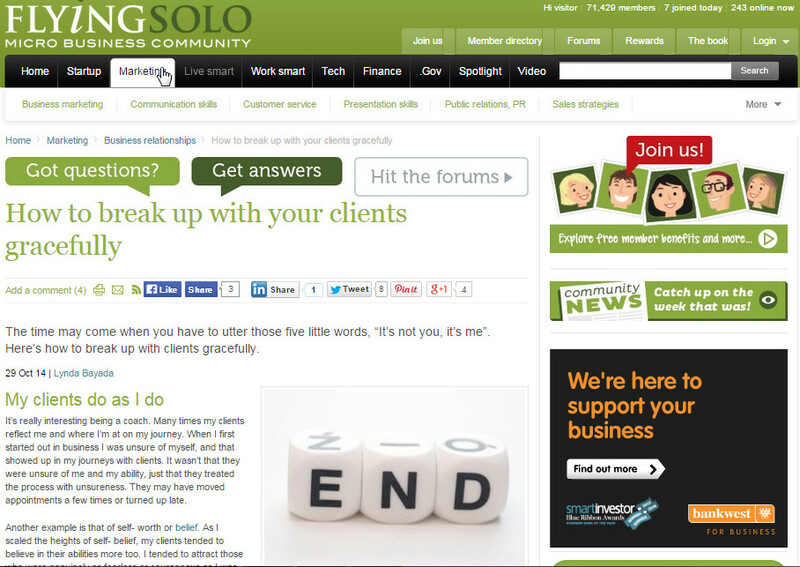 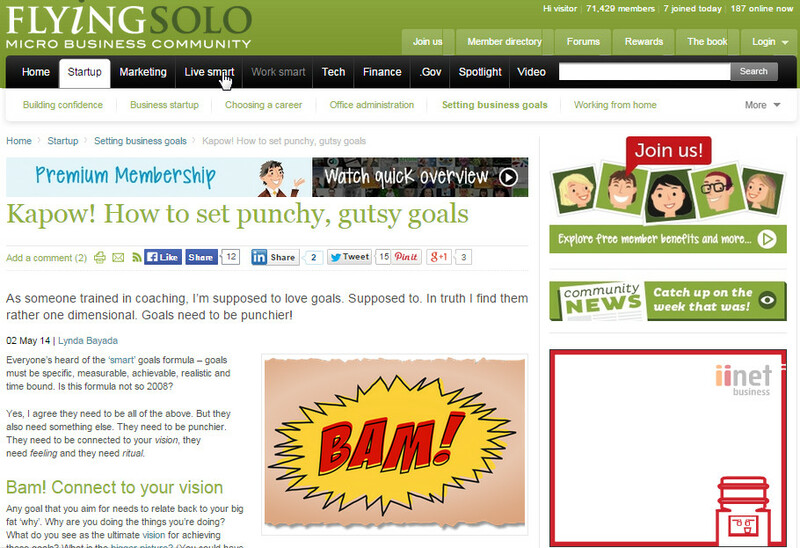 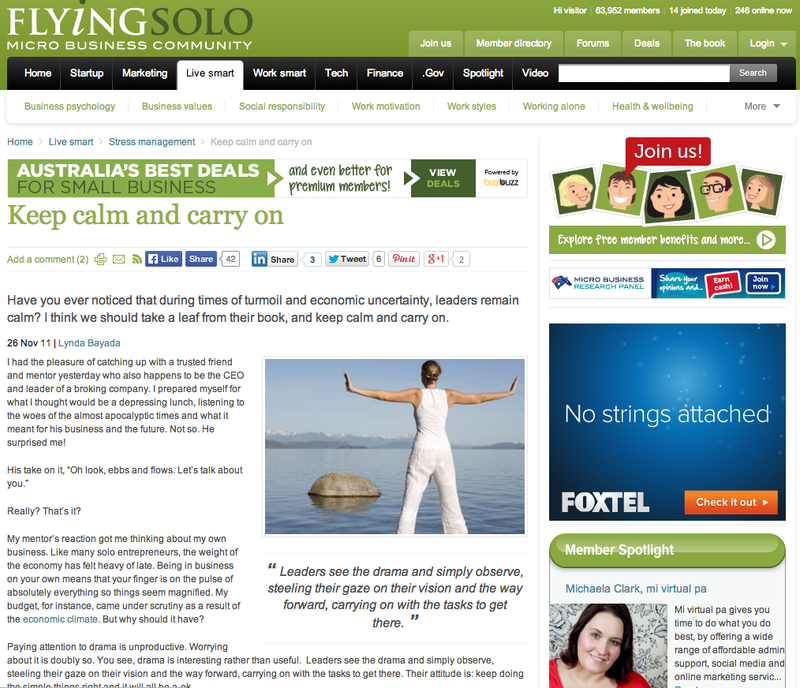 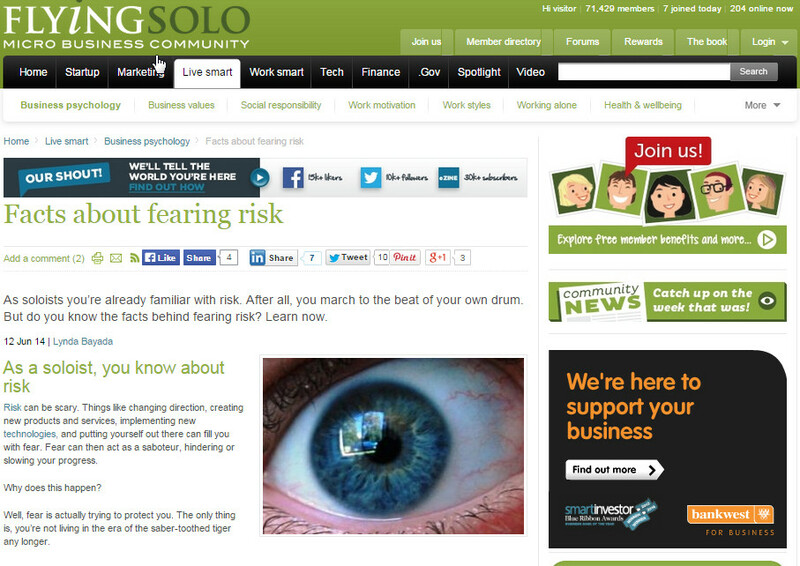 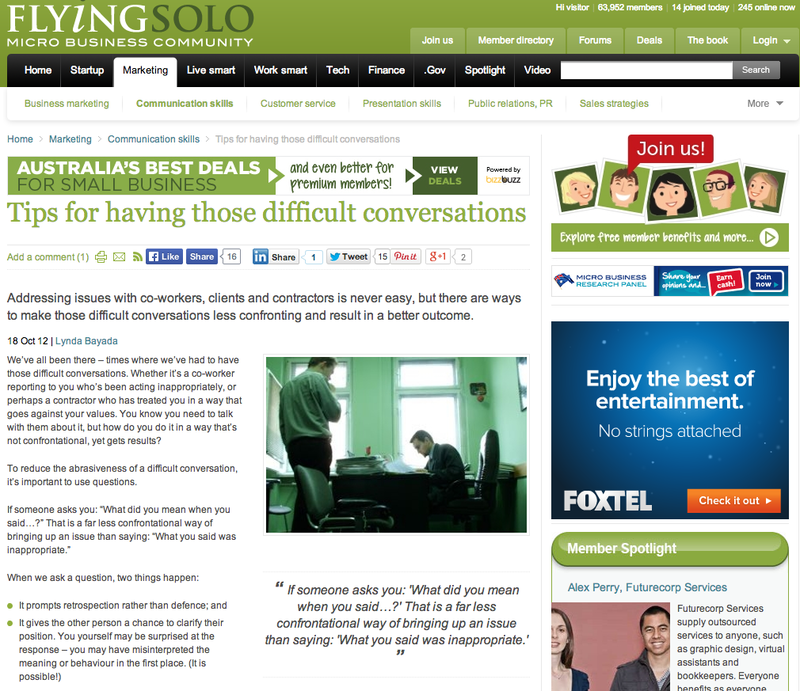 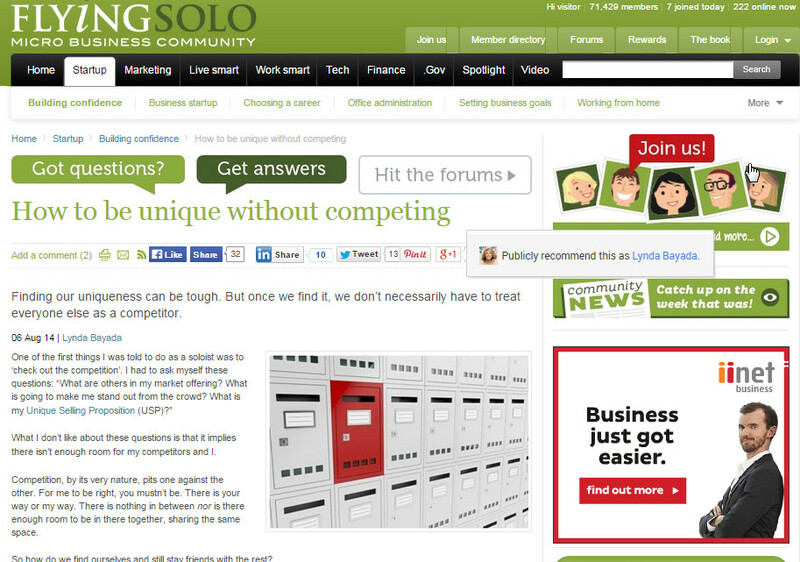 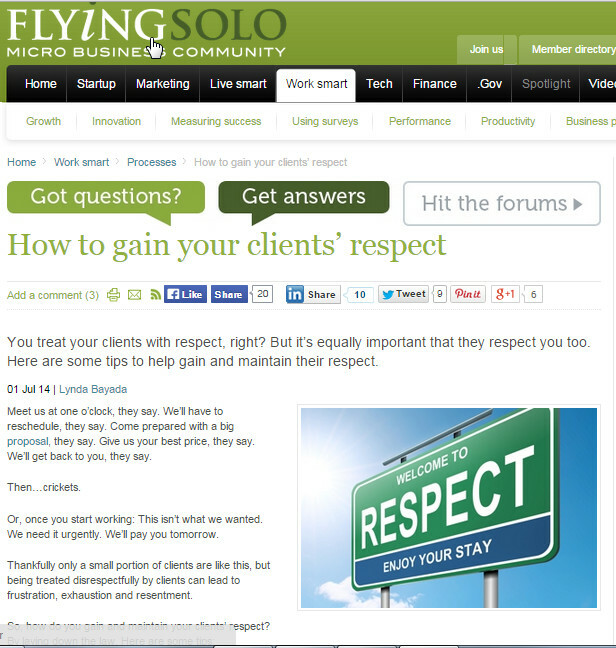 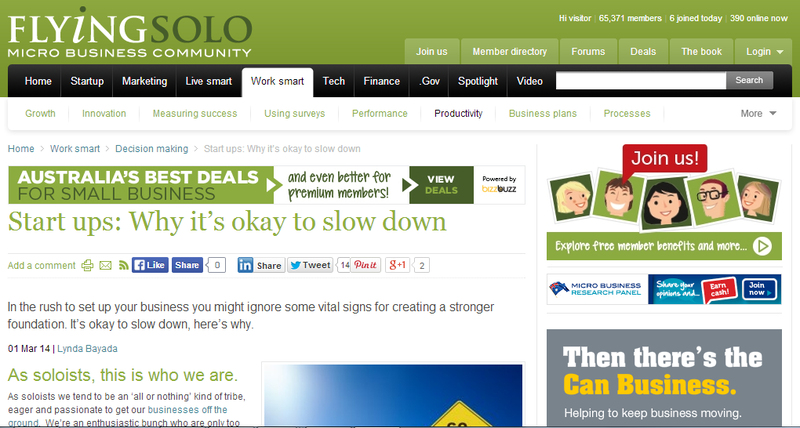 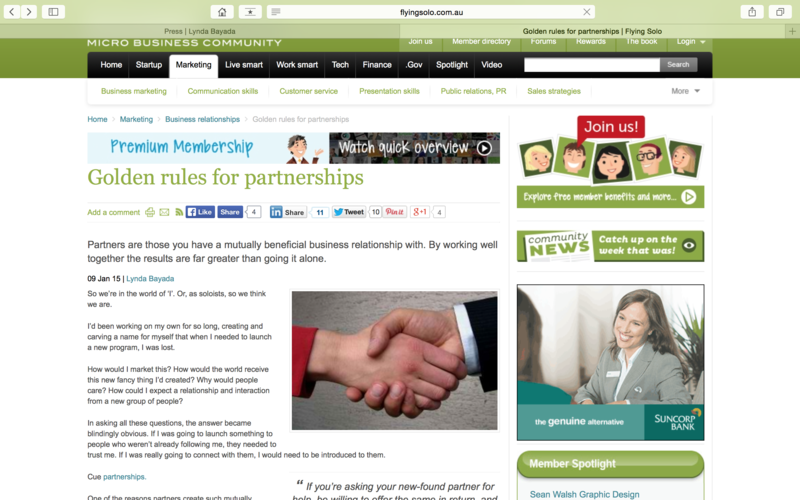 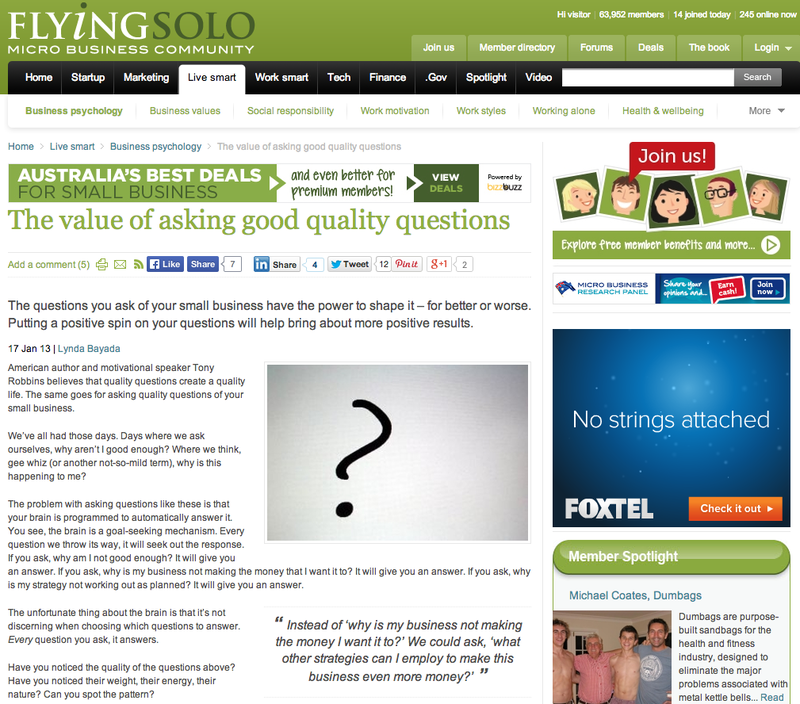 I have been privileged enough to partner with Australia’s leading solo-preneur community, flyingsolo.com.au, to bring fresh, relevant and inspiring content to their savvy readership. 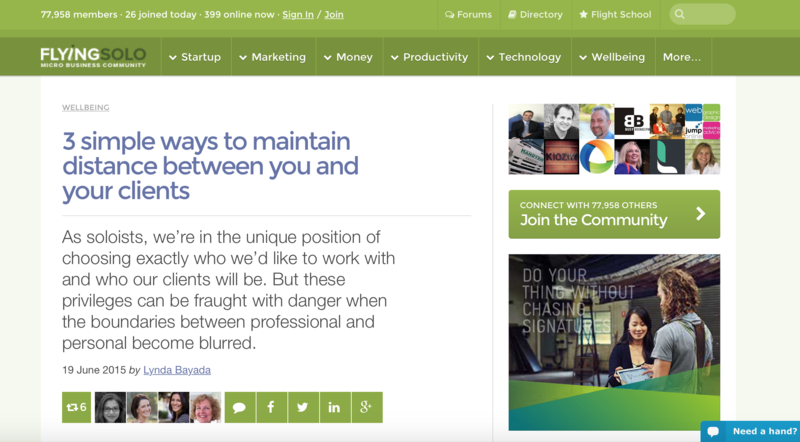 I cover a range of topics including; leadership, communications, strategy, mindset, relationship building & management and that ever unpredictable (or is it predictable?) 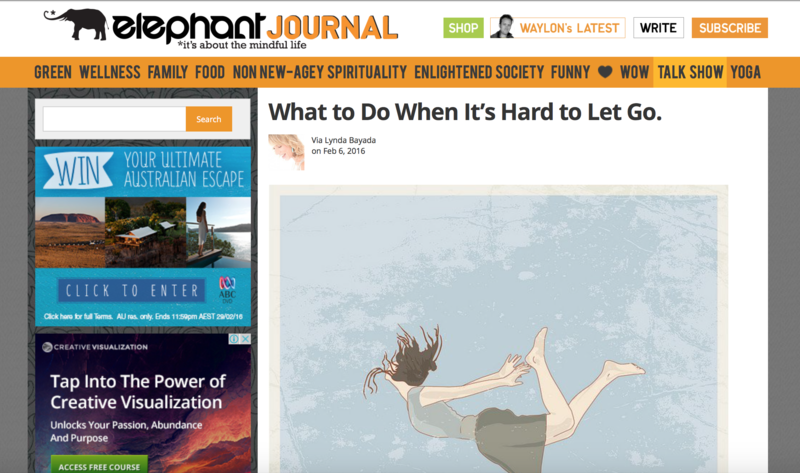 behaviour of us humans. 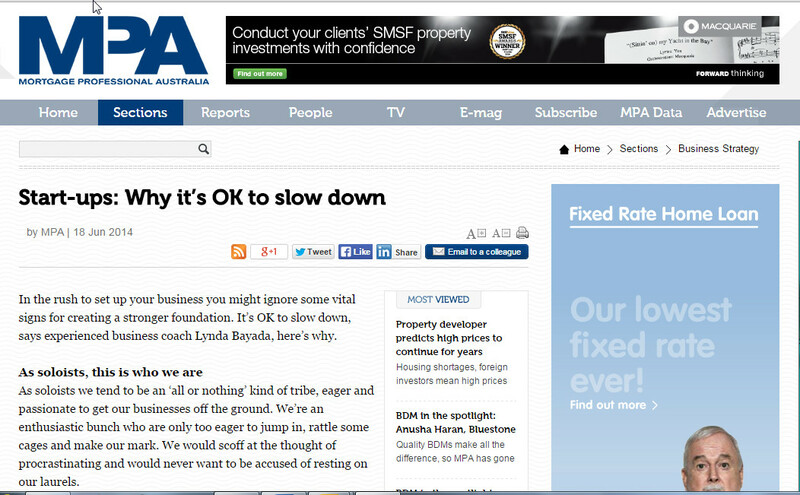 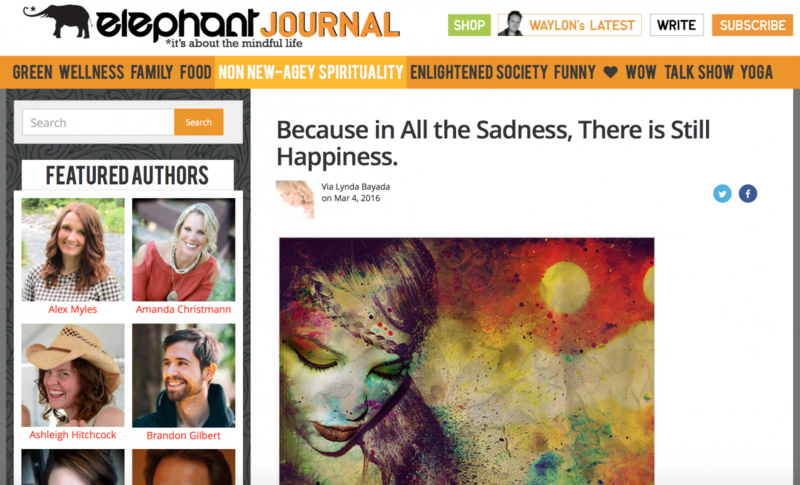 I have also been interviewed for articles for Mortgage Professionals Australia and Australian Broker and have recently started featuring on America’s Elephant Journal, a ‘non new age’ spiritual publication focused on mindful living. 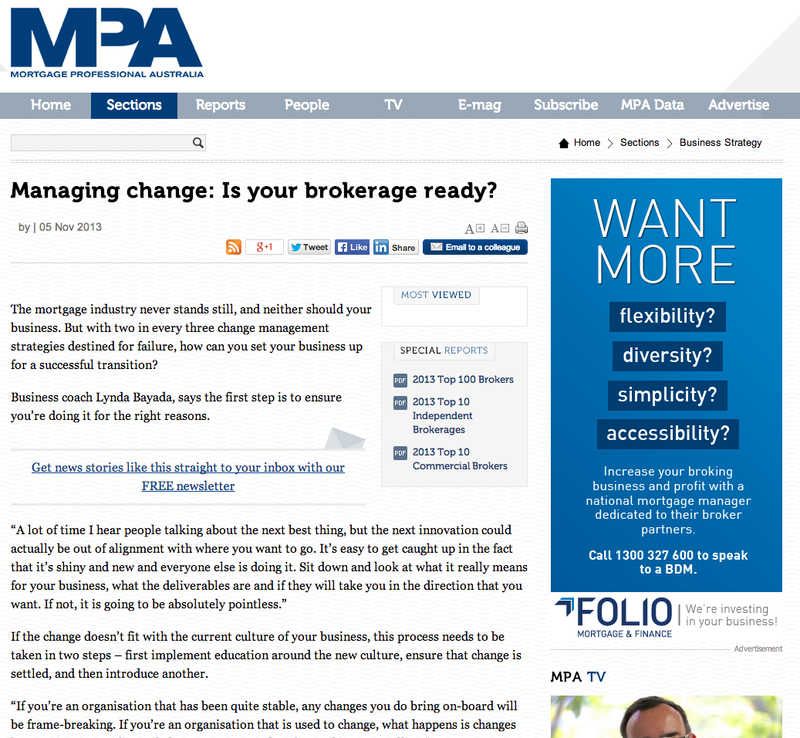 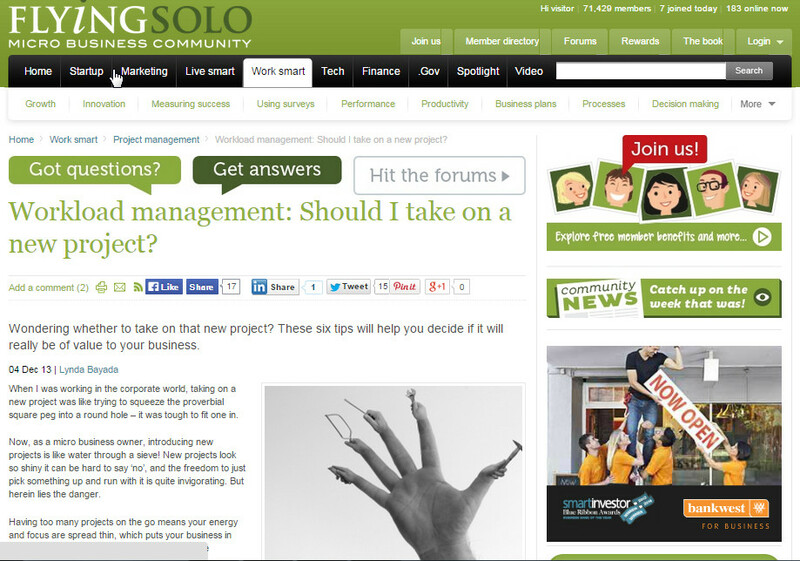 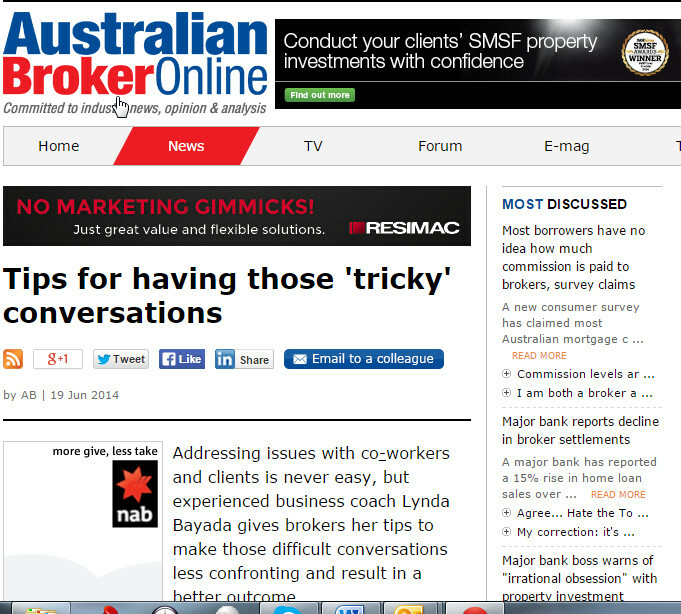 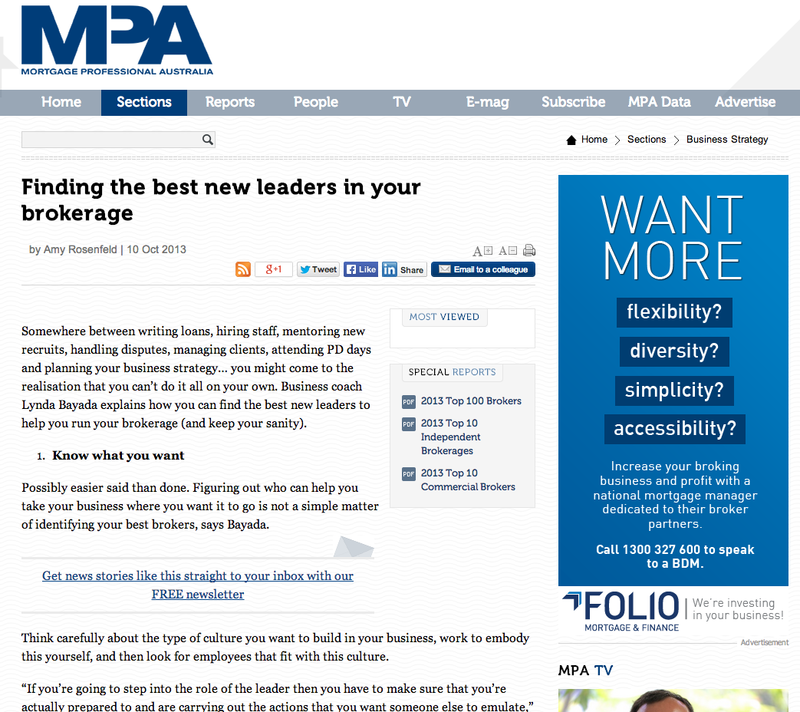 I love, love, love the chance to contribute practical advice where I can for these communities! 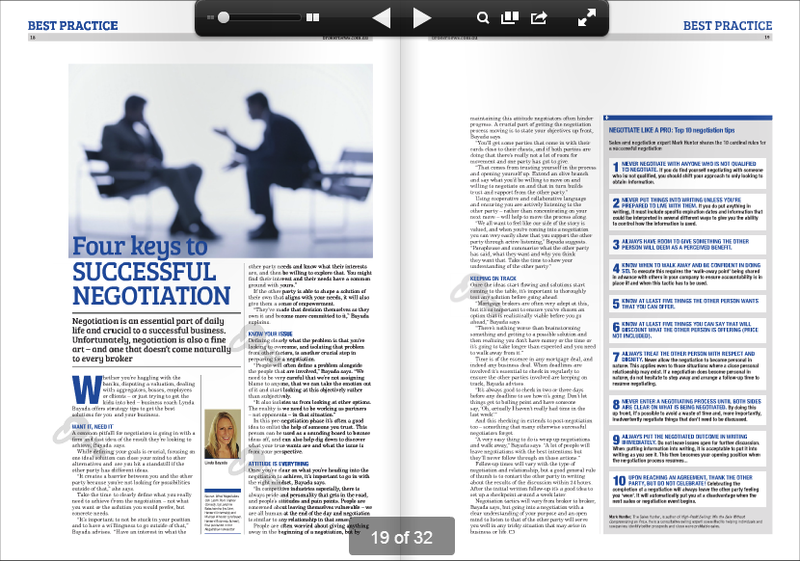 Stay tuned for more interviews and articles as they come.